So about a month ago now I got sent a Lavanila Deodorant* for consideration. If you watch my vlogs then you know I was pretty jazzed about the whole thing. 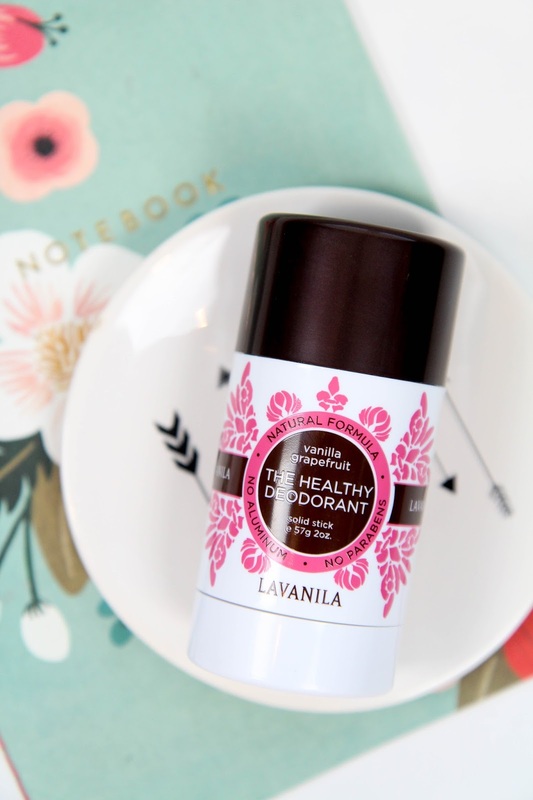 I've been wanting to see what the fuss is about over "healthy" deodorants for ages but am too cheap (and mostly forgetful) to spend the extra money to find out if the product is really worth it. So luckily now I know and can pass the wisdom on to you while still keeping my pennies close. Things may get a little too much information in this post, but we are talking about armpits after all. Prepare yourself. If you're looking for a quick review to move on with your life, the answer to the blog post title is no. It's not worth the price. Because it just didn't work for me. At first I gave it a true and honest go. I tend to be a pretty sweaty person. Not necessarily smelly, but sweat stains under my arms are a pretty natural occurrence if I'm wearing anything tight whatsoever. My hope was that this deodorant would finally cut down on some of that while being healthier for me. It made things worse. The packaging is a bit awkward at first to weld after literally years of using regular deodorant packaging, and the product inside is a lot drier than expected. But I swiped regardless and waited to see if it could stand up to my usual anxiety sweating. It didn't do any worse than most deodorants in the sweat department, but it didn't stop the smell. No one wants to be that stinky person after a long day of running around. And with this I was totally that person. It just didn't work for me to decrease anything I want a deodorant to decrease. So no it's not worth the extra price for a healthier alternative when it can't do literally a thing I need it to. I've since switched back to my usual stuff and things have returned to normal under the arms there. Let me know in the comments if you want more of these slightly cringy honest reviews about somewhat awkward products. If you're like me then you want to know, and I'm more than prepared to air all my secrets to let you know.